This ergonomic leg design sets the front leg upright further back to create more leg room. The 2011 series frame has the same features as the 2000 Series with the addition of 11 inches of manual height adjustability (adjustment in 1" increments). Leg leveling glides are included on all of our ergonomic desk legs. 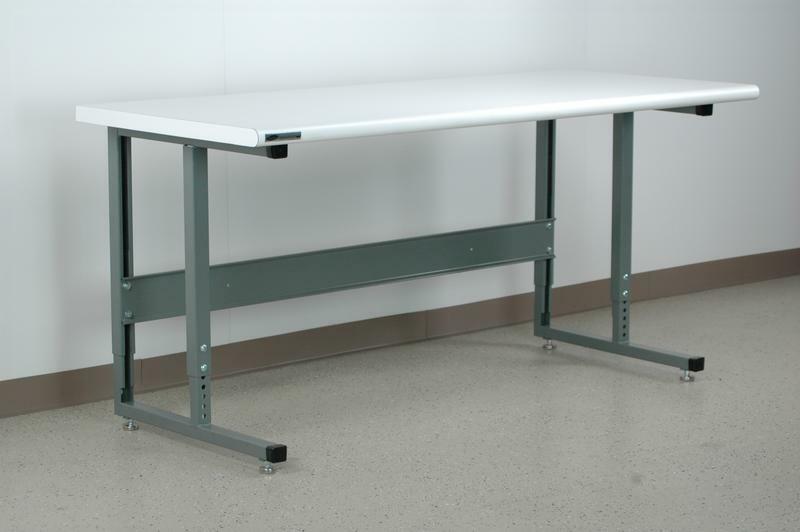 Custom computer desks and tables can be configured with this style frame with the capability of being able to bolt any of the accessories we offer to this unit at any time.